Last week, 10 & 11 February, we had a great Eurotrade Fair in Eindhoven! The offer of the exhibitors was very varied, there were many good buyers and both visitors and exhibitors were satisfied! 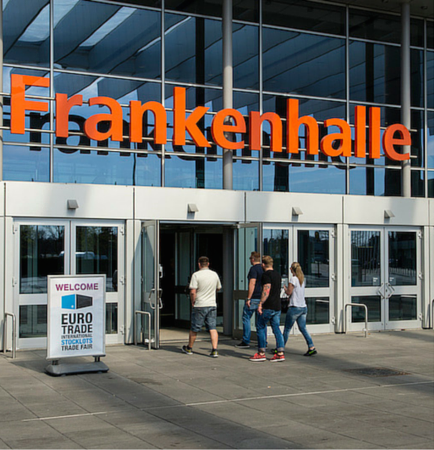 In 2015, the first edition of Eurotrade Fair Nürnberg took place. Because of its success we are coming back to Nürnberg! Mark your calendar and visit the second edition of Eurotrade Fair Nürnberg on 13 & 14 April. We would love to see you at the Eurotrade Fair in Nürnberg, Germany! Click here to get your FREE tickets! Eurotrade Fair Nürnberg: New companies, new contacts and new deals!